The ROMAN Filter is a simple, manually operated nutsche filter with the pedigree you know and expect from the Rosenmund brand name. 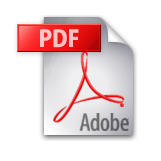 It is quality process equipment with the same attention to detail, but in the simplest form demanded by your operational needs and budget. The ROMAN is designed for quick turnaround between campaigns, with its key focus on cleaning and filter media change-out. Whether at full vacuum, high pressure or both, the filter plate is designed to withstand pressure above the filter plate and full vacuum below, thus allowing a greater differential. The dual flange design (positioned top and bottom) allows quick and complete access for visual and physical inspection, (i.e. swab inspection). 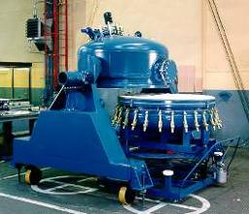 Additionally, the ROMAN Filter has a unique cart assembly used for both lowering the filter plate and moving the filter from location to location. Mobile - only one cart assembly is needed for all ROMAN Filter sizes, minimizing required storage. Pharmaceutical design - it is completely suitable for CIP and WIP with no crevices or product hold-up areas. 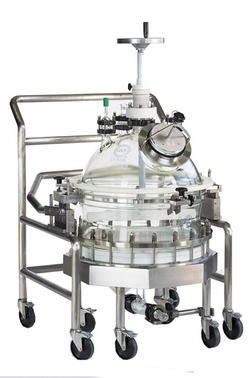 The glass nutsche facilitates a variety of batch vacuum filtration requirements as often encountered in kilo lab operation, chemical product development and pharmaceutical intermediate manufacturing. All process wetted parts are non-metallic, such as borosilicate glass and PTFE, thereby providing superior corrosion resistance, product purity and process visibility. The DDPS Nutsche filter offers faster and more efficient operation than an open vessel because it can be operated under pressure or vacuum. Typical applications for the Nutsche filter include processing pharmaceuticals, high-purity organic chemicals, dyes and precious metals. The Nutsche filter is glass lined for an easy to clean, anti-corrosive finish. The top head is clamped-on and completely removable for full access. A heavy-duty davit swings the cover away with no lifting or hoisting required. The body section is clamped to the bottom head with a flanged joint to hold the filter media securely in place. The bottom section with support plate can be lowered for easy changing of filter media. Heavy-duty lifting lugs are standard. A stainless steel retaining cable holds all vessel clamps in place so they can't be dropped or fall into the vessel when loosened. Clamps and nuts are zinc-chromate treated, and protected with elastomeric clamp nut covers to resist atmospheric corrosion. 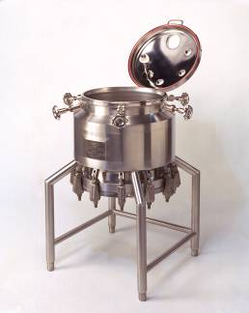 The closed vessel design protects personnel and equipment from uncontrolled vapor emissions as well as protecting the batch from accidental contamination.